This week, the Washington State Patrol says troopers will keep an extra eye out for drivers who are breaking the state law that requires motorists to keep right except to pass. 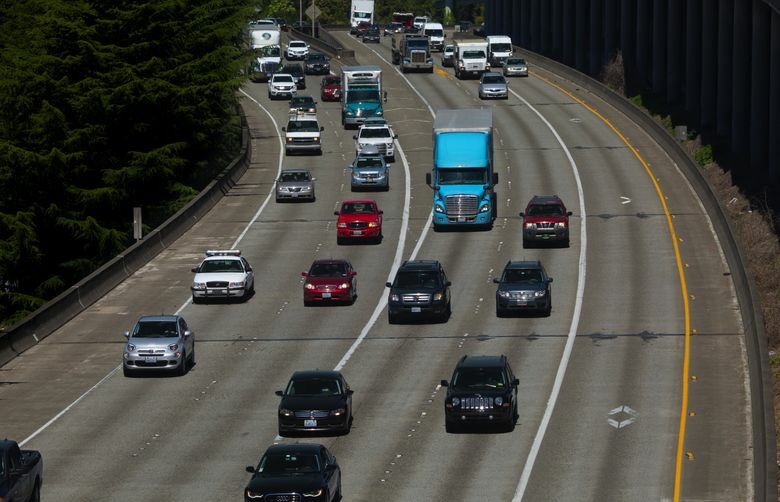 Beginning Tuesday, Washington State Patrol troopers will keep an extra eye out for drivers who camp in the left lane on multilane roads, as part of a push to enforce the state law that requires motorists to keep right except to pass. Trooper Rick Johnson said the effort, which lasts through Thursday, is in response to drivers’ complaints, and mainly aims to raise public awareness over the safety consequences of motorists using the left lane without passing. For instance, left-lane “campers” can incite road rage among other motorists, as well as cause traffic congestion and slow emergency-response vehicles, the Patrol says. “We understand that in rush-hour traffic, which is almost all the time on certain roads … we’re obviously going to have people in the left lane,” Johnson said. But on less busy roads or during slower traveling times, troopers expect motorists to follow the “keep right” rule. Last year, troopers stopped more than 16,450 vehicles statewide for breaking the law. A ticket for the violation costs $136. To spread the message further, the Patrol has published promotional videos over years regarding the law, the most recent of which the agency released Monday.